Full disclosure: Before I became a journalist, I was an international banker, and learned that success in the financial sector demanded sacrifice, grit, focus, mentorship, and keen mathematical and related quantitative ability. 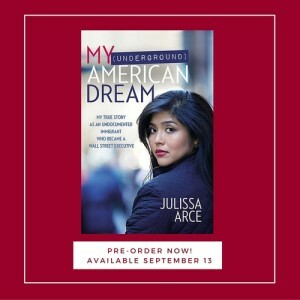 Julissa Arce, this article’s subject, unlike myself, had one additional pressing concern as a banker, which she details in her recently published book, My (Underground) American Dream. 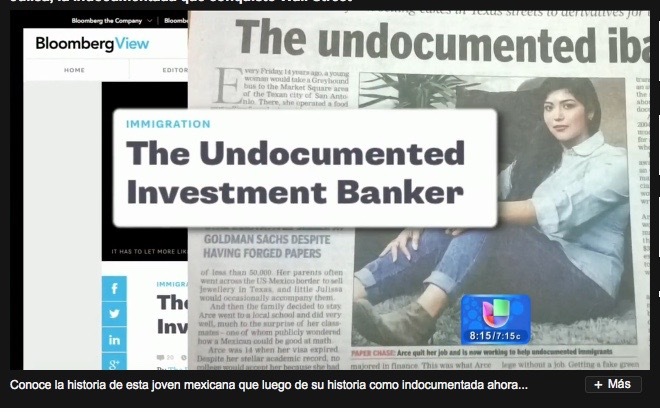 Until her late 20s, Arce hid her undocumented immigrant status, first in Texas, and later while as an officer at highly-competitive Goldman Sachs. 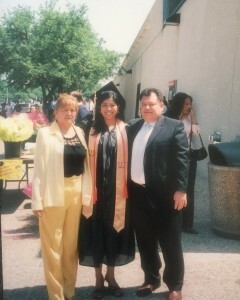 Julissa Arce with her parents. Arce grew up in Taxco, Mexico, southwest of Mexico City. To make a living, her parents left her behind while they moved to San Antonio to operate a fruit cart. When Arce was 11, she reunited with her parents entering the US on a tourist visa. Three years later, the visa expired and she became an undocumented. Luckily for Arce, while she was in high school, Texas enacted legislation allowing undocumented students to attend public universities. In 2005, she received her Bachelor of Business Administration specializing in finance from The University of Texas at Austin – The Red McCombs School of Business. The same year, Goldman Sachs hired Arce. 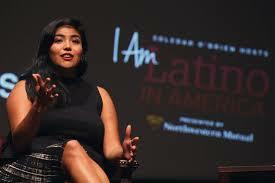 In 2009, she married an American citizen, received a green card and later became a naturalized citizen. AEF scholarships are between $2,500 and $20,000, and all students participate in an intensive academic and professional mentorship program. AEF says it targets and serves “all immigrants, from Bolivian to Japanese, from citizen to non-citizen.” The FAQ is here.